Today we launch a brand new reporting feature within Appogee HR to provide you with customisable, accurate and up to date reporting in an instant. Appogee HR reporting allows you to create, filter and save meaningful, critical reports from the information you store about your employees. We thank our customers for the feedback on what they would like to be able to report on and we welcome your thoughts on the update. Create – Appogee HR’s reporting allows you to quickly create insightful reports from the data you store. Whether you want to check which of your employees are due a performance review in the next month, run a salary report or check qualifications, all is possible in just a few clicks. Filter and Sort – Filter the data so you can view exactly what you want to see in an instant. 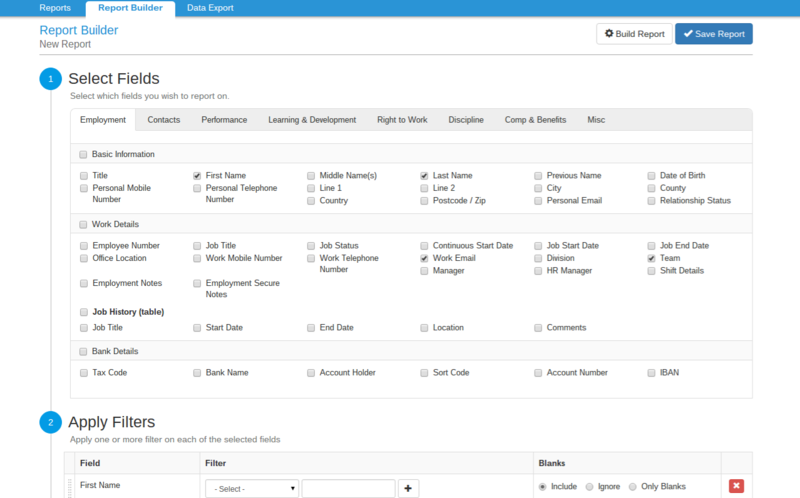 Sort your reports in order of what is important to you and filter on dates, values or specific data ranges. Save– Create a set of saved reports so that you can re-run them at any time to get up to date correct information. Schedule– Choose to schedule the reports you need to run regularly.